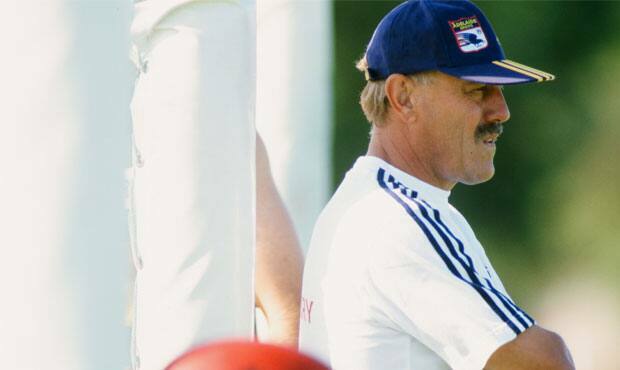 One of Adelaide’s first key appointments in October, 1990, was its first coach. And the nod went to Graham Cornes, who had coached Glenelg the previous six seasons and had also had success as South Australia’s State-of-Origin coach. A week after 42-year-old Cornes was appointed, he took charge of a huge training squad of players from all SANFL clubs. “I don’t think people appreciated the size of the task – getting 66 players together from 10 clubs, each with different backgrounds, and aiming them at a competition that most had never experienced,” Cornes said. 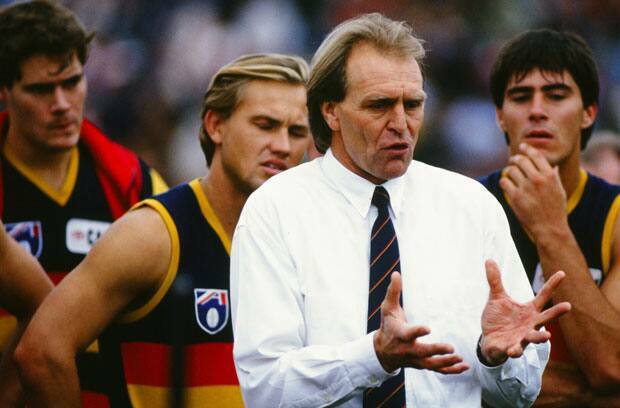 Under Cornes, Adelaide won 43 of 89 games in its first four seasons. It finished ninth, ninth, third and 11th. But the year after he guided the Crows to their first finals wins and as far a preliminary final, the Club wanted a new coach. Through Adelaide’s first four seasons, Robert Shaw had coached rival Fitzroy to 28 wins from 86 games. But the former Essendon defender who was recruited from Tasmania was seen to be the coach to add a harder edge to the Crows. In the next two seasons, however, Adelaide finished 11th and 12th. The 1996 season had a promising start, with four consecutive wins, but then lost 14 of the next 18 games. 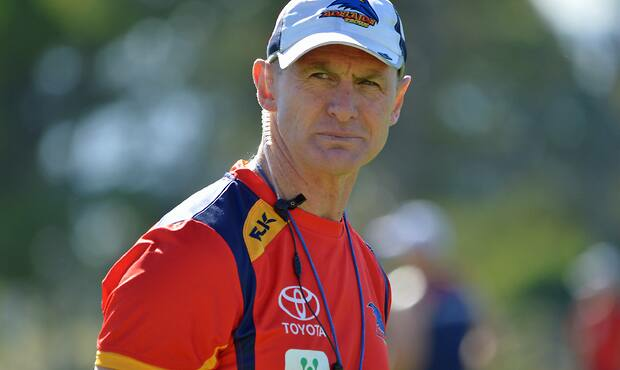 One of Australia’s greatest ever footballers replaced Shaw as Adelaide’s third coach. But when Malcolm Blight joined the Crows, one of the only items missing from his football resume was coaching a premiership. Geelong’s senior coach from 1989-1994 had taken the Cats to three grand finals but not claimed a flag. However, in his first two seasons with Adelaide, Blight was the premiership coach as the Crows enjoyed back-to-back glory. Adelaide fell back to 13th in 1999, the Club’s lowest finish in nine years in the competition. By July, an exhausted Blight had had enough and he announced his resignation. In 74 games under Blight, Adelaide won 41 games. But he will always be remembered for his finals record – seven wins from eight games, for two premierships. The man who replaced Blight at Geelong in 1995, replaced Blight at Adelaide in 2000. 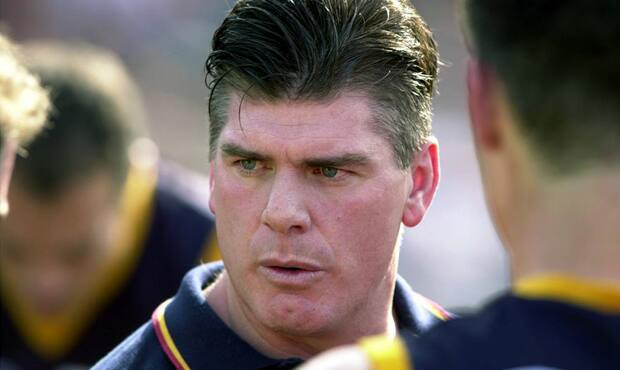 Gary Ayres, the champion Hawthorn defender, coached the Cats to a grand final in 1995 but pursued the Crows job after Geelong finished 11th in 1999 and would not commit to a long-term deal. Ayres, who had played in five premierships with Hawthorn, had a horror start to his Crows career, losing the first five games of the 2000 season on the way to finishing 11th. But the Crows reached the finals in the next three seasons, going as far as a preliminary final in 2002. 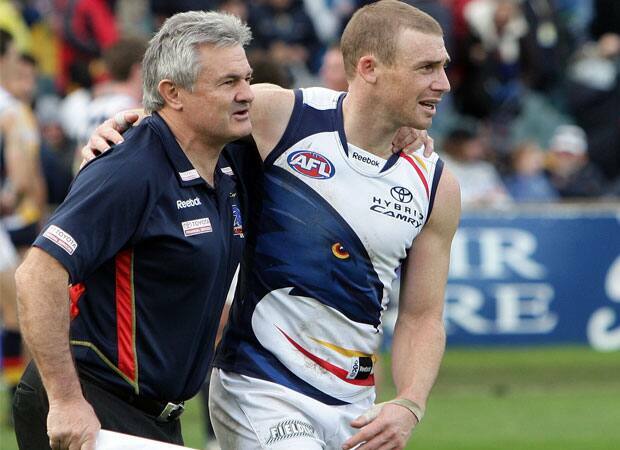 Midway through the 2004 season, however, Ayres walked out after being told he would not coach the Crows in 2005. His record was 55 wins from 107 games. An assistant coach under Ayres, Neil Craig took over the senior coaching position in 2004 as caretaker and would become Adelaide’s longest serving coach with 92 wins from 166 games. Craig had coached SANFL club Norwood and also worked under Malcolm Blight at Adelaide as a fitness coach in its premiership years. In 2005 Craig led the Crows to their first minor premiership and a preliminary final and the Crows reached the finals for five consecutive years. Only three wins from nine finals in these years took some shine off the performances and Adelaide then had two poor years, dropping to 11th in 2010 and struggling again in 2011. Craig resigned on July 25 2011 after a 103-point loss to St Kilda. A member of Adelaide’s inaugural squad, Sanderson returned to the Club as Senior Coach in September, 2011 after honing his craft as an assistant with Geelong. In his first season at the helm, Sanderson took the Crows from 14th on the AFL ladder in 2011 to second at the end of the 2012 minor round. It was Adelaide's first finals appearance since 2009, falling less than a kick short of a dream Grand Final berth. He also tasted pre-season success, delivering the Club its second NAB Cup title. Injuries and inconsistency marred Adelaide's '13 and '14 campaigns which saw the Club finish 11th and 10th respectively just one win shy of finals action in both seasons. An exhaustive post-season review saw Adelaide part ways with Sanderson in September, 2014 after 39 wins and 30 losses as Crows coach. 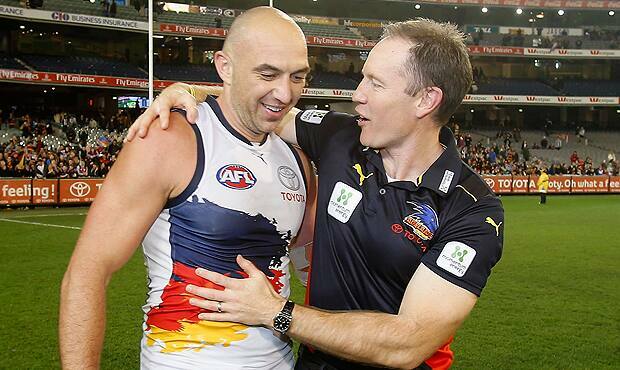 Sanderson boasted the best winning percentage (57.5%) of any of his predecessors in the Crows' coaches box. On the field, played 209 matches for the Cats, Crows and Collingwood in a career spanning 15 years. He also won Geelong’s best and fairest award in 2001. Walsh joined the Crows as Senior Coach in October, 2014 with a reputation as one of the game’s most innovative tacticians. 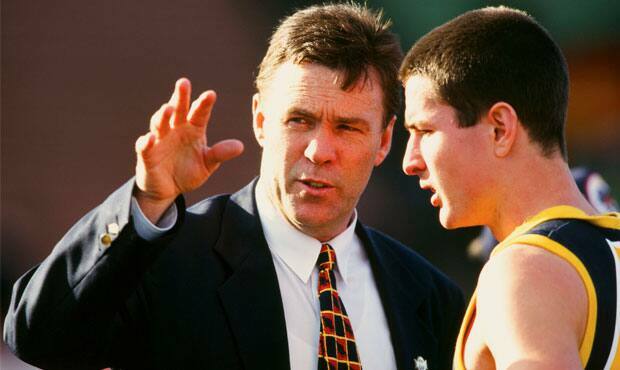 A career assistant coach holding 20 years of experience in the AFL coaching ranks, Walsh was one of the most revered football minds yet to commit to the top job before his arrival at West Lakes. A lively wingman in his playing days with Collingwood, Richmond and Brisbane, Walsh retired from the sport in 1990 after 122 games. A successful stint in the fitness department at Kardinia Park in the 90s saw Walsh eventually transition into the coaches box. He joined Port Adelaide for 10 seasons and helped guide the club to its only premiership in 2004 as an assistant coach. After five years in the West with the Eagles, Walsh returned to Alberton for a year before he was snapped up by Adelaide ahead of Season 2015. Walsh's philosophies of elite standards, attention to detail and team first made an instant impression on the playing group. He led the Crows to victory in his first three games at the helm and Adelaide were always in the top eight under his tutelage. Tragically, Phil Walsh passed away on July 3, 2015, after 12 games and seven wins as Senior Coach.